Bring vintage farmhouse style to your home with the Vintage White Distressed Door by UMA Enterprises. 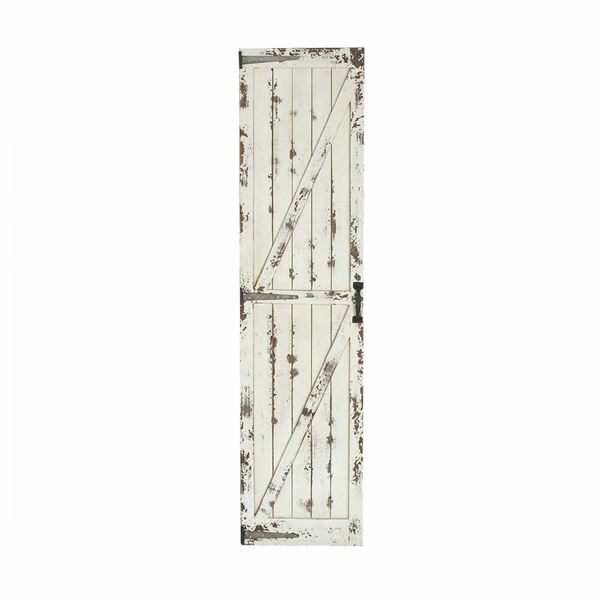 This door combines classic barn door styling with a heavily distressed antique white finish, galvanized metal hinges, and a black-finished metal handle for a reclaimed look. Vintage White Distressed Door by UMA Enterprises. 69 inch x 17 inch Rustic wood and metal door panel.